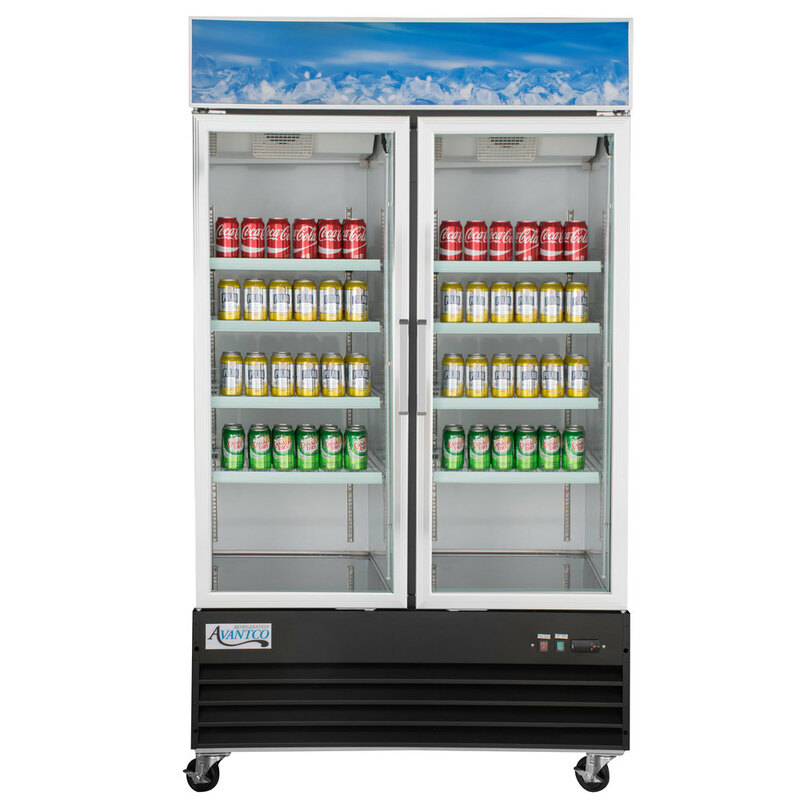 Increase your sales of "grab and go" items like bottled tea and soda, or pre-packaged sandwiches and salads with this Avantco GDC-40-HC 48" black merchandising refrigerator! Designed with sharp looks and usability in mind, this unit is the perfect display for your products with its sleek finish. 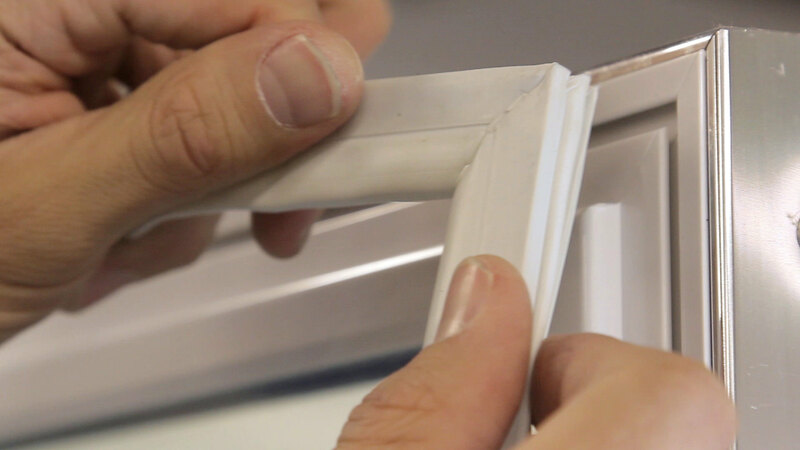 And, since the housing is made from black coated steel, you can be sure that it will provide superior durability. This unit boasts 2 anti-fogging glass swing doors to ensure that customers always have a clear view of your products, while (8) epoxy coated steel shelves help you stay organized. 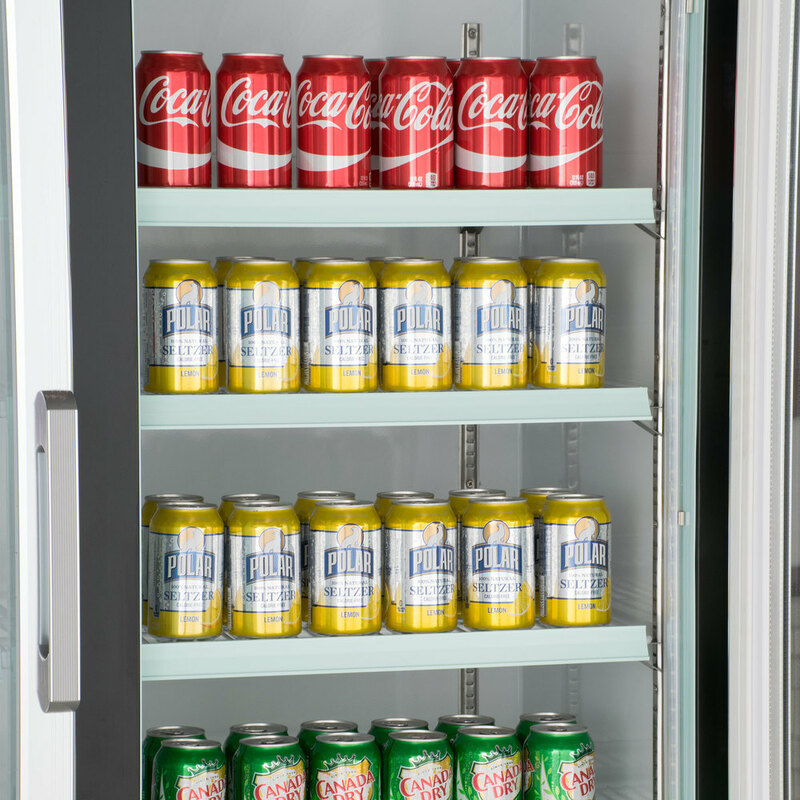 Plus, the shelves easily adjust to accommodate salads, wraps, or sandwiches. Interior LED lighting also works to illuminate and further merchandise your products. 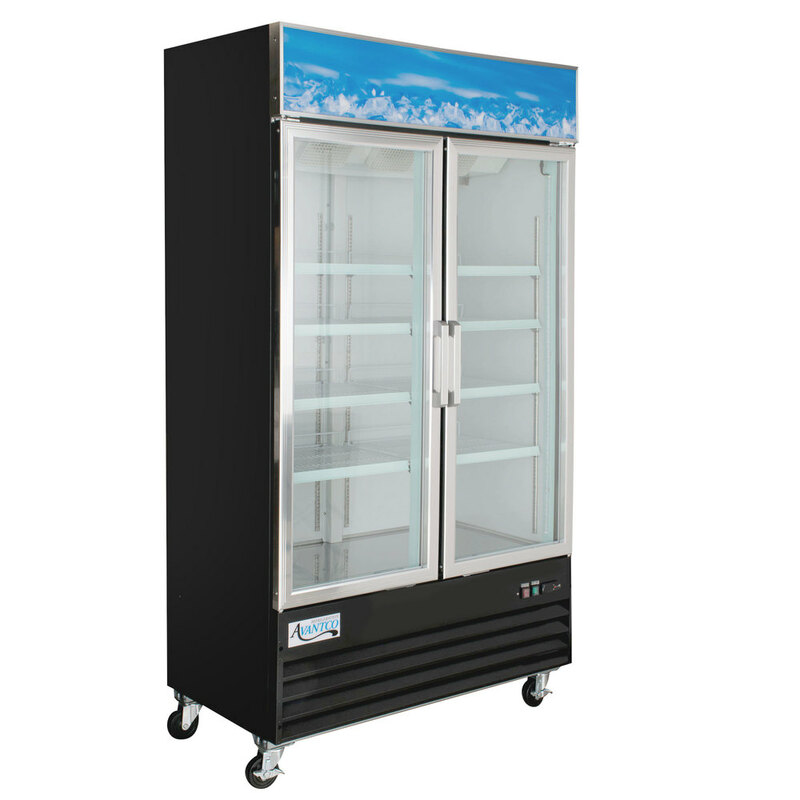 This unit is holds the temperature well and has a wonderful display that customers love. You can add your own logo at the top. 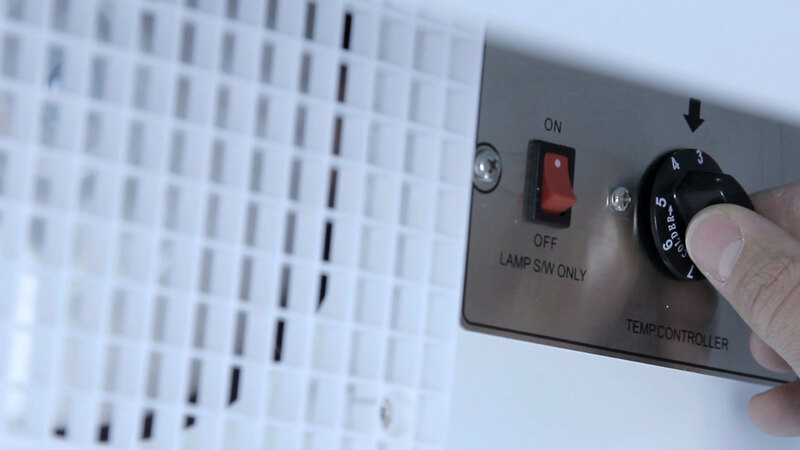 The interior lighting illuminates product well and can be switched on or off. Perfect for small spaces as well. susanne K. from NY PIZZA PIE LLC.